A historic tree that has stood at the White House for nearly 200 years is scheduled to be cut back. The "Jackson" magnolia was planted by President Andrew Jackson as a tribute to his recently deceased wife. It has been a backdrop to historic ceremonies and even featured on the $20 note between 1928 and 1988. But experts say the tree is damaged and poses a safety hazard. First Lady Melania Trump has called for a large portion of it to be removed. 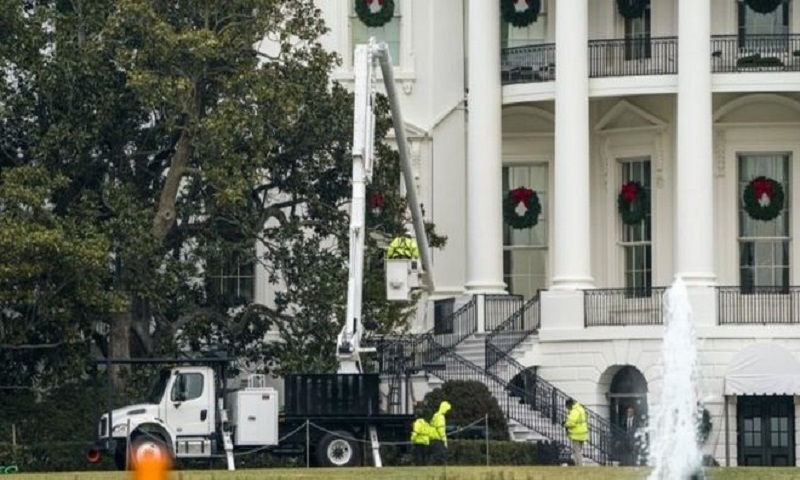 White House spokeswoman Stephanie Grisham said Mrs Trump had requested that seedlings be maintained so that a new tree could possibly be replanted in the same area. She said Mrs Trump had taken the decision because the tree posed a threat to "the safety of visitors and members of the press who are often standing right in front" of it when the presidential helicopter takes off. The magnolia originally came from a cutting from Mrs Rachel Jackson's favourite magnolia tree on the couple's Tennessee farm. Its first problems began in the early 1970s when a section of its base was displaced and its exposed cavity was cemented. This was standard practice for the era, but some said it damaged the tree irrevocably. In 1981, the cement was removed and replaced with a large pole and cable system to hold it up. Although at first sight the tree appears normal, a report from the United States National Arboretum, quoted by CNN, said "the tree is greatly compromised" and "completely dependent on the artificial support". The magnolia tree's life has spanned 39 presidencies, as well as the American Civil War and two World Wars. Chelsea Clinton, the daughter of ex-President Bill Clinton, tweeted her thanks to those who have looked after it over the years and to Mrs Trump for the re-planting plan.